For more than two decades the Sri Lanka Muslim Congress(SLMC) has remained the foremost political party of the Sri Lankan Muslims. The SLMC co-founded and led by the legendary MHM Ashraff is headed by Rauff Hakeem who succeeded him as party leader after Ashraff’s demise in 2000. In recent times the dominant position held by the SLMC among Muslims is being challenged by the All Ceylon Makkal (Peoples) Congress (ACMC) led by Rishad Bathiudeen. Both Hakeem a lawyer and Badiutheen an engineer are members of the Sirisena-Wickremesinghe cabinet. While the former is minister of City planning and Water supply the latter is Industry and Commerce minister. The SLMC in recent times has been besieged with a number of inner –party contradictions and intra- party squabbles.Events before and after the Parliamentary polls of August 2015 has caused a re-configuration within the party. While some party stalwarts have deserted the SLMC some from other parties have joined it.Rauff Hakeem’s political stratagem of promising national list seats to different regions in a bid to harvest votes has led to a situation where demands have far,far exceeded supply. Hence Hakeem has been constrained to appoint a Malay community representative as well as his own brother as national list MP’s. It is said to be a temporary measure to contain dissent . This has caused further resentment and discontent within the SLMC.Complicating the situation further is the growing estrangement among “Thalaiver”(leader) Rauff Hakeem, “thavisaalar”(Chairman)Basheer Segu Dawood and “Seyalaalar” (Secretary) MT Hasen Ali. The Sri Lanka Muslim Congress (SLMC)was inaugurated on September 21st 1981. 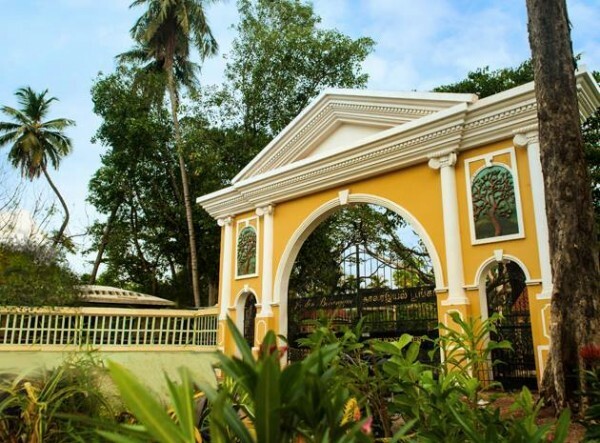 It was co-founded by MHM Ashraff and the late Ahammed Lebbe of Kattankudi. At that point, the SLMC was more or less an Eastern outfit concerned more with socio-cultural than political issues.The July 1983 anti-Tamil pogrom and the consequent escalation of armed Tamil militancy led to a situation where the possibility of Tamil Eelam began looming large on the political horizon. The Eastern Muslims became increasingly insecure and apprehensive of their future in a potential “Tamil” state. The Muslim community in the East was also producing a new generation of educated and politically ambitious youth. The rise of Tamil armed militancy instilled a sense of political urgency into Muslim politics. This created a suitable climate for Ashraff and his brand of politics to arrive on the national scene. Ashraff correctly identified the need and yearning of the community to assert and articulate its identity boldly.Relocating from Kalmunai and establishing himself firmly in Colombom Ashraff, revived and restructured the Muslim Congress. In 1986 he convened an Island – wide convention in “Punchi” Borella and formally took over party leadership after gently easing out Ahamed Lebbe. The Muslim people in all parts of the Country needed their own independent political party. The SLMC was to fulfil that role. Ashraff gradually redefined the objectives and redrafted the constitution of the Muslim Congress to make it an all-island party. It was formally accredited by the Election Commissioner and allocated the symbol of the tree on February 11, 1988. The SLMC’s fundamental demand after it’s re-launch was the creation of a territorially non-contiguous Muslim majority council consisting of the Muslim divisions in the North and East. Ashraff’s rationale in this issue was to preserve for the Eastern Province Muslims their 33 per cent representation as far as possible in a proposed merger situation where it would have dwindled to 17 per cent.The territorially non – contiguous Muslim Majority Council demand fired the imagination of Eastern province Muslims. Youth activists calling themselves “Poaraakigal”(militants)flocked towards Ashraff.Nevertheless the proposition though imaginatively attractive was virtually unimplementable in a practical sense. 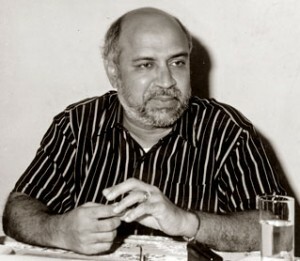 When it became increasingly obvious that the SLMC demand was non –implementable and therefore unacceptable, the SLMC leader being politically astute was quick to accept the inevitable.Apart from the charismatic sway he held over the Muslim masses, Ashraff’s strength was his adaptive flexibility . 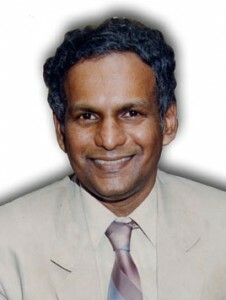 When he found the demand for a territorially non – contiguous unit unachievable, Ashraff substituted it for the South Eastern Provincial Council comprising the territorially contiguous electoral divisions of Sammanthurai, Pottuvil and Kalmunai.He was also willing to support a merger of Batticaloa and Trincomalee districts with the Northern Province.He was prepared to give that up too if it became necessary and opt instead for a merged North-East with adequate safeguards for Muslims including a de-merger proviso by referendum in 10 years’s time. Ashraff also wanted to carve out a distinctly Muslim –majority coastal district known as Kalmunai out of the existing Amparai district. He was however hesitant in some respects because he feared the contemplated littoral district could be deprived of adequate land and water resources.Ashraff’s untimely demise ended progressive forward movement in those directions for a while. Though the SLMC’s Muslim majority council demand , modelled on Pondicherry in India, became dormant it never became extinct. It was revived from time to time by the SLMC whenever it seemed opportune. In fairness to the Muslim Congress it must be stated that the party resorted to reviving the demand mainly as a response to the Tamil demand for greater autonomy over both the Northern and Eastern provinces. It is indeed noteworthy that the re-birth and growth of the SLMC was very much influenced by the insecurity felt by Eastern muslims over the creation of “Tamil Eelam” or a merged North – Eastern province. Whenever Muslims suspected or feared “hegemonic Tamil imposition” the inevitable response was to seek adequate safeguards or alternative arrangements for Muslims in such a changed equation.An important feature in this context is the demand for a non – contiguous territorial Muslim majority council. 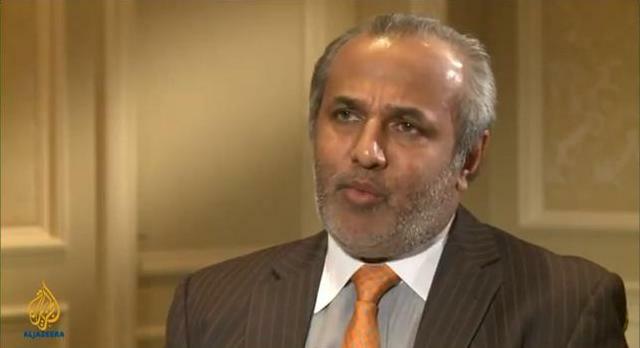 Ashraff’s successor Rauff Hakeem revived the demand in 2003 during the Oslo –facilitated peace process. The SLMC was perturbed when the Liberation Tigers of Tamil Eelam (LTTE) presented its proposal for a Interim Self –Governing authority(ISGA). The Muslims felt insecure as the ISGA proposal if granted would have amounted to a virtual confederation dominated by the tigers. So Rauff Hakeem embarked on a study tour focusing on suitable political models available in India. The idea of course was to adopt and adapt appropriate Indian models to resolve the specific problems of power sharing faced by the Muslims in the prevailing political situation. Interim Self-Governing Authority Dominated by LTTE. After his return from India ,the SLMC leader held a press conference to announce the SLMC’s ideas for constitutional reforms. Even though the exact details were not articulated Hakeem spoke of the need for an interim constitution. He also indicated that the SLMC will not be amenable to the interests of the north-eastern Muslims being accommodated within an Interim Self-Governing Authority (ISGA) dominated by the Liberation Tigers of Tamil Eelam (LTTE). It was announced that the SLMC wiould be releasing a set of alternative power sharing proposals for the Muslims in the north-east. A crucial element of these proposals would be a separate Muslim majority power sharing structure comprising non-contiguous areas similar to the Pondichery model in India. The SLMC plans for a a devolution unit based on territorially non-contiguous lines to accommodate a particular ethno-religious group never materialised in concrete form. 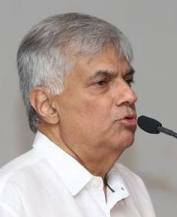 The Ranil Wickremesinghe led Govt was dismissed by President Chandrika Kumaratunge in 2004. The peace process disintegrated and soon it was war again. After Mahinda Rajapaksa became President in 2005 the war intensified and in 2009 the LTTE was defeated militarily. An uneasy peace descended upon the country. “The contiguous preponderantly Tamil Speaking Northern and Eastern provinces is the historical habitation of the Tamil People and the Tamil Speaking Peoples. Power sharing arrangements must continue to be established as it existed earlier in a unit of a merged Northern and Eastern Provinces based on a Federal structure”. “The Tamil speaking Muslim historical inhabitants shall be entitled to be beneficiaries of all power-sharing arrangements in the North-East. This will no way inflict any disability on any People”. The TNA Manifesto’s unilateral reference to a merged North –Eastern province rang alarm bells within the SLMC. General Secretary of the Sri Lanka Muslim Congresss M.T. Hasen Ali who was State Minister of Health at the time said plans that by the Tamil National Alliance to unilaterally propose a North-East unification would be rejected outright by the Muslims, unless there was consultation and consensus. In an interview published in the “Sunday Observer” of August 2nd 2015, Hasen Ali said the Eastern Muslims will continue to agitate for the creation of a separate unit of devolution consisting of all non-contiguous geographical areas where Muslims are settled, modelled on India’s Pondicherry Union Territory.“For this purpose, the SLMC intends holding discussions with the TNA and the right-thinking Sinhala leaders,” he said. Elections were held with the United National Front for Good Governance led by Ranil Wickremesinghe winning the most number of seats. Ranil was sworn in as Prime minister once again. After several weeks the Tamil National Alliance and Sri Lanka Muslim Congress met in Colombo on December 30th 2015 for preliminary talks on power sharing arrangements. A three –member SLMC delegation led by Rauff Hakeem and a three –member delegation led by Opposition Leader Rajavarothayam Sampanthan participated in the discussions. The talks were cordial and exploratory. Apparently the Muslim Congress did not make any explicit reference to the Muslim majority council demand during talks.The Muslim Congress said that ‘special arrangements’ should be made for the Muslim areas in the Northeast Province. The TNA said that identical arrangements must be made for Tamil areas in the Southeastern Province. What was implicit seems to be that of the TNA thinking of a North –east province and a South –eastern province. The Northern province and the Trincomalee-Batticaloa districts to be one unit and the Muslim majority Electoral divisions of Kalmunai, Sammanthurai and Pottuvil to be another unit.The SLMC position remained unclear and non – committal. 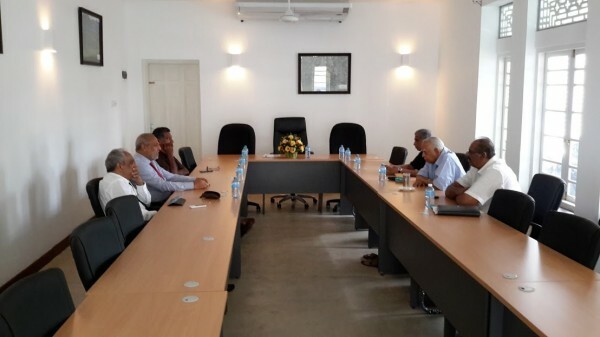 The TNA and SLMC described their meeting as being the first round of talks. More rounds of discussions were envisaged. SLMC General secretary Hasen Ali was not a participant at the talks with the TNA. However he made his views known in an interview published in the “Sunday Observer” of January 10th 2016.An excerpt from the news report stated as follows –“ The Sri Lanka Muslim Congress (SLMC) will submit a proposal to the Constitutional Assembly for a unit of devolution for the Muslims of the North and the East based on party founder leader, M.H.M. Ashraff’s demand, SLMC General Secretary M.T. Hasen Ali told the Sunday Observer.A unit of devolution encompassing the non-contiguous geographic areas of domicile of the Muslims of the two provinces, with power-sharing arrangements on par with the Tamil community, has been the SLMC’s demand from the inception, Hasen Ali said”. There is a sense of déjà vu in all this.What appears to be happening is that the Sri Lanka Muslim Congress is content to accept the current status quo of two separate Northern and Eastern provinces but if and when an extra-provincial arrangement to accommodate Tamil aspirations is envisaged then the SLMC becomes worried about the status of Muslims in the new equation. The SLMC is further annoyed by what it perceives to be the high –handedness of the TNA in unilaterally proposing a merged North – east without consulting the Muslim parties. Hence the SLMC reverts to its old practice of reviving the non – contiguous Muslim council demand. The SLMC seems to be responding or reacting to the TNA’s unilateral conduct on this crucial issue. Several attempts by this writer to contact SLMC general secretary M.T.Hasen Ali on the telephone and obtain greater clarity were unsuccessful. The electronic mail address I had of Hasen Ali was also defunct.SLMC Leader Rauff Hakeem was away from the Island at the time this article was being written. He responded by e – mail to a brief query. Hakeem was however reluctant to elaborate on the matter at this juncture saying –“ The Unit of devolution issue is an issue connected to the unilateral decision to merge provinces in the past. To speculate on this now is to throw the spanner in the works. There seems to be a mischievous campaign by vested interests to reverse the trend towards other important reform items in the constitution”. What Hakeem meant by his cryptic reference to a “mischievous campaign by vested interests to reverse the trend towards other important reform items” remains unclear at present. It is against this backdrop therefore that this column wishes to focus briefly on the origins and essence of the SLMC demand based on the Pondicherry for a non – contiguous territorial Council consisting of Muslim majority areas in the Eastern and Northern provinces. Let us first look at the Pondicherry model of non-contiguous territory being administered as a single unit in India. This is a unique concept and as far as I know is available only in India. The important thing to note is that this model was not adopted to cater to the particular needs of a racial or religious minority. It was also not freshly constructed by breaking off chunks from existing states and moulding them into a territorially non-contiguous entity.Instead, the raison d’etre for the concept was colonialism, and an enlightened approach on the part of Nehruvian India to the question. It was the British who ruled the greater part of India. Yet the French and Portuguese too had some possessions. These areas were not territorially non-contiguous.Thus, France had territories like Pondicherry, Karaikal, Yenam and Mahe. Portugal had Goa, Daman and Diu. When the French territories came under independent India in 1954, then Prime Minister Jawarhalal Nehru made provision for these areas to function as a separate entity instead of being incorporated into surrounding states as in the case of areas ruled by Indian Maharajahs and Nawabs. Likewise, those areas ruled by Portugal too were administered separately after Indian annexation in 1961. This was due to ‘historic and cultural’ legacies of these areas and not because of racial, religious, caste or ethnic considerations. These areas were administered as ‘union territories’ and after a period of time had their own legislatures and chief ministers. They were however not fully fledged states. The former Portuguese territory of Goa became a full-fledged state in 1987 but the islands of Daman and Diu remain union territories still. 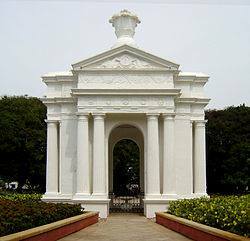 Pondicherry now known as Puducherry is yet to attain statehood. The principle of territorial non-contiguity though allowed for union territory purposes was not recognised for statehood purposes. This is a vital fact the SLMC has to keep in mind when referring ecstatically to the Indian model. As far as the former French possessions are concerned, they remain as a union territory still. They are however scattered in three states. Pondicherry and Karaikaal are within Tamil Nadu. 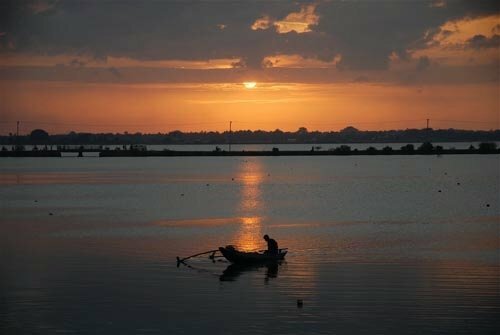 Yenam is in Kerala while Mahe is in Andhra Pradesh. There is a governor and an elected legislative assembly for these geographically separate territories. There is also an MP to the Lok Sabha and Rajya Sabha. Though territorially divided, a redeeming feature is the size of Pondicherry. The 932 sq km area is the largest of all and has 85% of the total population and legislative seats. This has facilitated governance with Pondicherry being the solitary seat of power.Pondicherry is officially known as Puducherry since 2006. This principle of territorial non-contiguity in an administrative structure makes the Pondicherry model attractive to the SLMC. The principle of territorial non-contiguity is absolutely essential for the establishment of a Muslim majority council in the north-east because of the demographic nature of the eastern region.The Muslim majority areas in the Eastern Province are generally situated along the littoral known as “Eluvankarai” or the shore of the rising sun. These areas are interspersed among Tamil areas or vice versa. This phenomenon has been compared to the layers of flour and coconut in a pittu bamboo.These interspersed areas make it difficult to forge an ethnically homogenous region for the Muslims in contiguous territory. The SLMC was enamoured of the Pondicherry model because it is only the non-contiguous territorial concept that can pave the way for a devolution unit encompassing the scattered Muslim enclaves of the east. These interspersed areas made it difficult at one time to carve out preponderantly homogenous electorates for the Muslims and to some extent the Tamils in the east. The Muslim majority electorates of Pottuvil, Samanthurai, Kalmunai and Muttur have a sizeable Tamil minority. Likewise, the Tamil majority electorates of Batticaloa and Kalkudah have a sizeable Muslim minority. This in turn led to double member seats for Batticaloa, Muttur, and Pottuvil in previous parliaments under the old electoral system to ensure representation for the Tamil and Muslim communities. This is why the SLMC is enamoured of the Pondichery model. It is only the non-contiguous territorial concept that can pave the way for a devolution unit encompassing the scattered areas of Pottuvil, Attalaichenai, Akkaraipattu, Oluvil, Nintavur, Sainthamaruthu, Samanthurai, Kalmunai, Maruthamunai, Kattankudi, Eravur, Ottamavaddy, Valaichenai, Sampur, Kinniya, Muttur, Thoppur, Pulmottai, etc. in the east and Vidathaltheevu, Musali, Veppankulam, Pattanichhoor, Erukkalampiddy, Tharapuram and possibly the Muslim areas of Jaffna town in the north under one unit of devolution. Ashraff fired the imagination of the Muslims in the north-east through advocating this territorially non-contiguous Muslim majority council. As in the case of the Tamil United Liberation Front (TULF), which captured Tamil votes in 1977 seeking a mandate for the unattainable goal of Tamil Eelam “Thalaiver” Ashraff too found it virtually impossible to deliver on this demand. The demand by itself was unrealistic from a utilitarian viewpoint. The interspersed Muslim areas were too many and except for a few, too small for the setting up of an encompassing structure. If the council was taken as a ‘whole’ this geographic dispersal would have caused excessive fragmentation. The envisaged Muslim council and the residual tamil council in the east would have been “moth – eaten”.Some places like Kalmunai, Akkaraipattru, Eravur, etc. were populated by both Tamils and Muslims. Thus, administration would have been a serious issue. The SLMC proposal if implemented can have serious unintended consequences.If the principle of territorial non-contiguity is accepted as the basis to set up a Muslim majority council for the north – east or even the east, the matter would not end there. It may only be a matter of time before the Muslims living as a scattered community in the seven Sinhala majority provinces too make this demand. Of course the fact that Muslims do not make up more than 10% in any southern district whereas they are more than 25% in Mannar and the eastern districts is a major distinction at present.With the demonstration effect of a Muslim majority council in the north-east the Muslims of Puttalam, Kalpitiya, Colombo Central, Akurana, Galle and Beruwela too may want one at some point in the distant future. All Muslims may like to be part of one great ‘ethnic’ council from Point Pedro to Dondra. This prospect may seem an impossible stupidity at this point of time, but let us not forget that the Tamil demand for a separate state too was confined to the lunatic fringe in the beginning. Moreover, if non-contiguous devolution is going to be the panacea for the Muslim minority of the Tamil majority north-east, then it has to be equally applicable to the minorities of the seven Sinhala majority provinces too. Apart from the Muslims being enticed by such a concept, the Indian Tamils of the Up Country too could welcome this. This hapless and beleaguered community that has been ruthlessly exploited and denied basic rights could form a territorially non-contiguous council of their own. Tamil dominated areas in Nuwara Eliya, Kandy, Matale, Badulla, and Kegalle could become one non-contiguous council. The Tamils of Colombo too may want to join that council. Once the Pandora’s Box is opened then other sub-national fissipasures too could erupt. The regional differences of Up Country and Low Country could take the form of ethnic councils based on the principle of territorial non-contiguity. The Catholic community along the coastal belt from Mannar to Moratuwa could think in the same lines as the Muslims and demand a separate council. The increasing anti-Christian sentiments in the country and resultant fearscould cause such a development. Who knows, even the Sinhala non-Goigama castes could seek and demandseparate non-contiguous devolution units. Likewise, these developments could be replicated among Tamil Catholics and non-Vellala castes too.The matter will however not end there. The Tamils living in the Amparai District as a minority vis a vis the Muslims too could opt out of the Muslim dominated south-eastern province or even a newly created coastal district of Kalmunai that will have a Muslim majority. The recognition of a non-contiguous devolution unit for a social group claiming an ethnic identity on the basis of religion could have implications for the region too. India opposed the theocratic ideal of Pakistan and proposed a secular alternative. Today, India has the world’s second largest Muslim population next only to Indonesia. Despite communal tensions, Muslims have not demanded a state or union territory basedon an ethno-religious identity. They have not or for that matter no social or ethnic group has called for a territorially non-contiguous administrative entity so far. Accepting and supporting the north-east Muslim demand for a non-contiguous unit of devolution based on an ethno-centric identity here can therefore send the wrong signals to Indian sub-nationalities and open the floodgates for similar demands in India. Neither Indian secularists nor Hindu chauvinists can support such a demand. India therefore has to oppose this demand just as it opposed Tamil separation earlier. Ashraff woke up to prevailing reality and dropped the SLMC demand in practice. Instead, he opted for a Muslim majority south-eastern province comprising the electorates of Kalmunai, Sammanthurai and Pottuvil. The SLMC envisaged South –eastern province comprising the adjacent Muslim majority electorates of Kalmunai, Pottuvil and Samanthurai would have had 58% Muslims, 28% Tamils and 14% Sinhalese The quid pro quo for the Tamils was a merged north-eastern province composed of the Northern Province and the Trincomalee and Batticaloa Districts. These negotiations were between the SLMC and TULF with the concurrence of the PA government during Chandrika Kumaratunga’s presidency. These proposals were included in the Draft Constitution Bill of August 2000. One does not know whether the current SLMC demand is really serious or whether it is merely a tactical ploy to increase bargaining clout in negotiations or a device to get Eastern Muslims rally around the party. Even if the leadership is not sincere or serious about the demand there is always the danger of the rank and file particularly the youths believing in it faithfully and becoming radicalised. This is what happened in the case of the TULF old guard and the young Tamils after the 1977 elections. Whatever the reasons that led to its revival, it is time for a sombre and restrained SLMC leadership to reappraise this non-contiguous devolution unit demand again. Even if the SLMC were to garner massive support among the eastern Muslims for this demand just as the TULF did for Tamil Eelam in 1977, there is very little chance of this underlying principle of non-contiguous devolution becoming acceptable to both the Tamils as well as the Sinhalese and also Muslims outside the North and east. The concept therefore is a non-option in realistic terms. The SLMC will do well to recognise this reality and revise its objectives. While Muslim grievances and aspirations are quite legitimate, the non-contiguous devolution unit model is certainly no solution. It is also imperative that Tamil political parties clamouring for a merger of the Northern and Eastern Provinces take cognizance of Muslim insecurity and anxiety on the question. Why should Muslims forming 35% of the Eastern province “reduce”themselves to 18% in a merged North – East? The Tamil National Alliance should consult and discuss the matter with the chief Muslim parties namely the Sri Lanka Muslim Congress and the All Ceylon Makkal Congress before putting forward proposals about a merged North –Eastern province. There should be interaction with the Sinhala community in the region also on this crucial matter. Instead of doing so the TNA seems to have blundered by unilaterally imposing a merged North – East proposal. « CV Wigneswaran’s Accusation About TNA 2015 Manifesto Abandoning Right of Self-Determination Proved Completely False.